I woke up this past Saturday morning and was doing my usual browsing on YouTube for inspiring juicing videos when I came across a video titled Juice Recipe for Perfect Health and Radiant Beauty. I really enjoy watching the Life Regenerator’s videos on YouTube and was particularly inspired by it. In the video he makes his own ‘everything’ juice because he’s moving (I have got to learn how to add videos to this blog! I’m such a newbie). 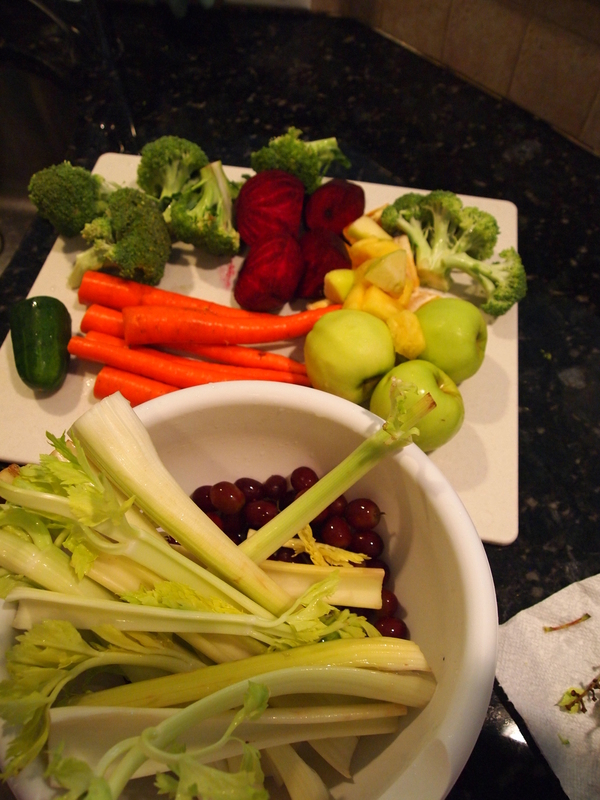 I enjoy juicing any time of day and any day of the week but my absolute favorite is on a Saturday morning. Interestingly enough, this is how my mother juices ALL the time. She has no rhyme or reason to her juice ‘recipes’. She literally just throws whatever she has in her fridge into her juicer and somehow creates pretty tasty concoctions. I have absolutely never made a juice before with so many ingredients or as I’m calling it… an ‘everything’-I-have-in-my-fridge juice. I had lots of fruits and veggies that were super ripe so this was the perfect excuse to juice and then go grocery shopping! Here are my ingredients and pictures of the finished product. 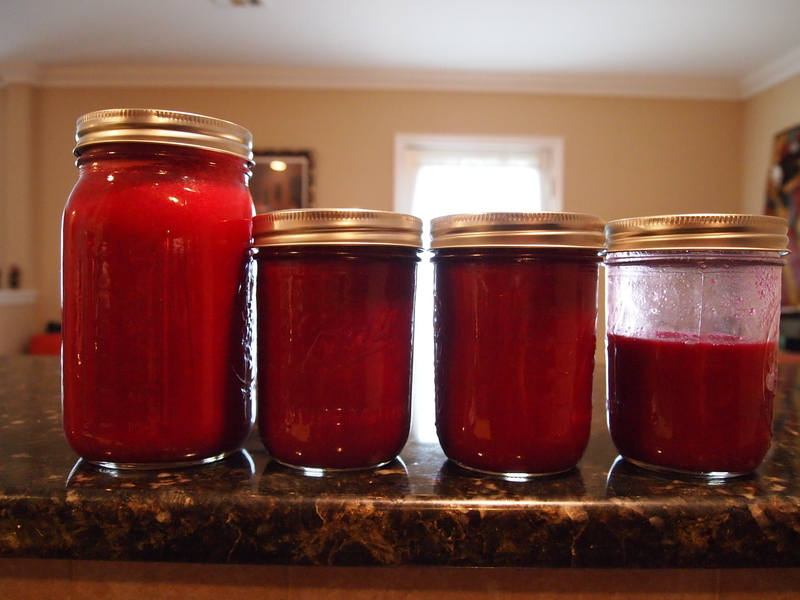 Of course I had beets so the final product red. The best part about my ‘everything’ juice is that it ended up tasting EXACTLY like the tree tomato fruit which I have never seen here in the US but grew up eating and enjoying in Kenya. It tastes sweet, tart and sour all at the same time. Is tart and sour the same thing? LOL! I have no idea. Anyway, It was a beautiful and nostalgic moment when I tasted my juice. It reminded me of the abundant and wonderful childhood I had as I was always surrounded by the freshest tasting fruits and vegetables. Until the time comes when I can go back ‘home’ and enjoy a tree tomato fruit and more importantly the company of my friends and extended family I will have my ‘everything’ juice. Thank God for my ‘everything’ juice. Here is the fourth and final new recipe I made today and I think it’s my favorite out of all four. 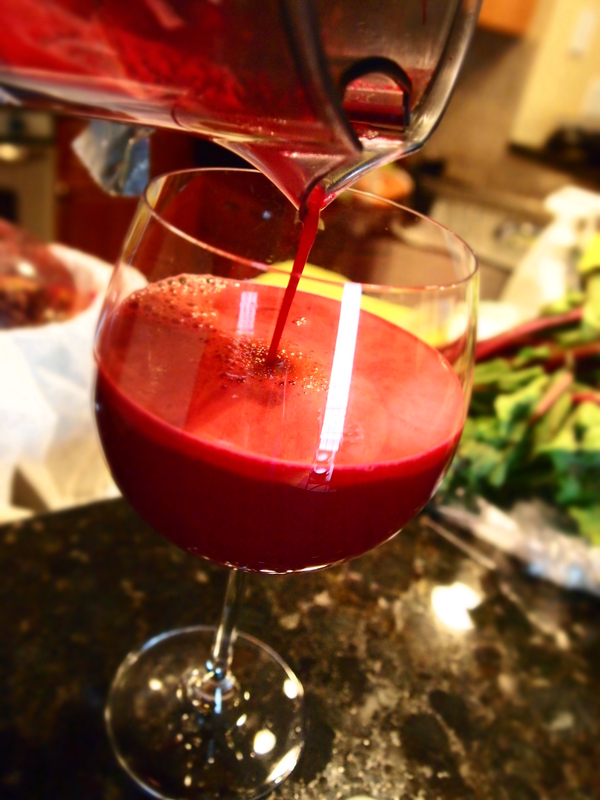 I really love juices with beets, so that has everything to do with why it’s my favorite today and the rich deep red color is beautiful in this glass. We’re not wine drinkers in my house so I think it’s pretty funny that all our fancy glasses are pretty much used only for my juices. So what fancy meal would you pair this juice with? Did I forget to mention that this juice tastes A-M-A-Z-I-N-G? Don’t take my word for it though, go ahead and make one for yourself but please don’t forget to come back and let me know what you think. Thanks again to Cherie and Maureen! Recipe from Juicing for Life by Cherie Calbom, M.S. and Maureen Keane, M.S., C.N. I haven’t juiced with beets in a while so when I saw them in the grocery store I couldn’t help but grab a bunch and get excited about juicing them. I usually default to juicing beets with apples and carrots with a 1/4″ of a ginger root but this time instead of ginger I added one whole grapefruit and it came out quite tasty. For whatever reason I’m not particularly fond of beets any other way. I can and will only juice them. 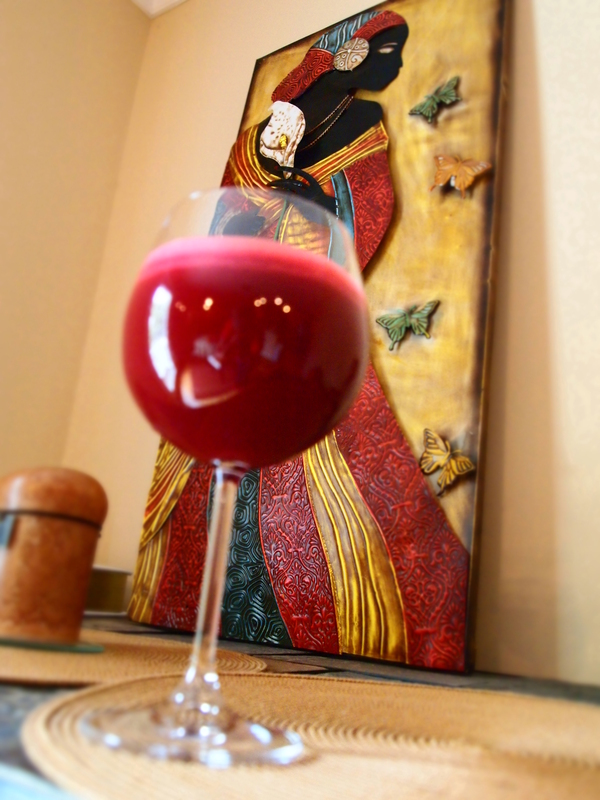 I really really really love juicing beets (and so does my mama!). There’s something about their bright red color that screams HEALTHY and they combine oh so well with just about any vegetable/fruit. My favorite benefits of beets have to be that they are a blood purifier, blood builder (create new red blood cells), liver tonic (stimulate functions of the liver) and contain folic acid + iron. Go beets! PS: Beets will/might make your poop red…very red. It’s quite scary the first time but not too worry, it’ll pass 🙂 LOL! Here’s a wonderful juice recipe passed on to me by a girlfriend. I love it’s rich deep color but even more I love it’s taste. It’s made up of vegetables that are sweet and the ginger adds a nice zing to it! 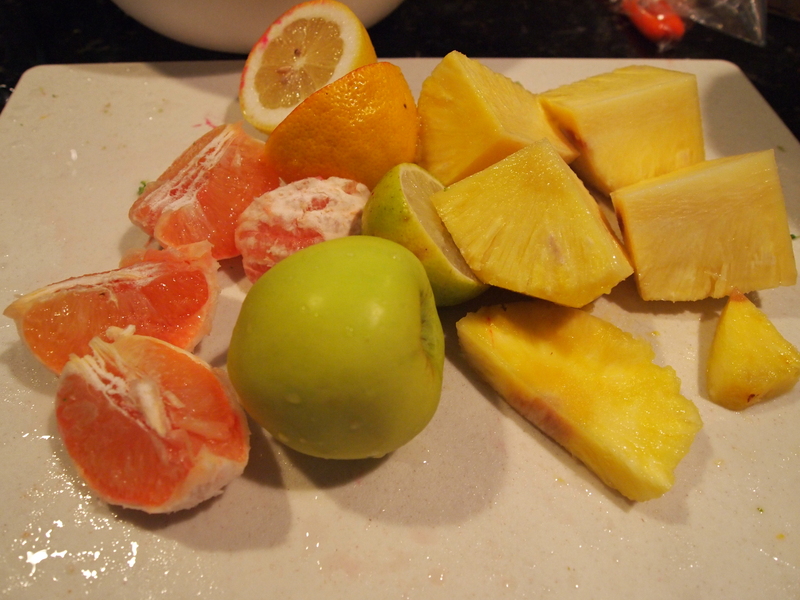 Can’t imagine this recipe without the ginger but juicing is all about creating what you love and enjoy the most. 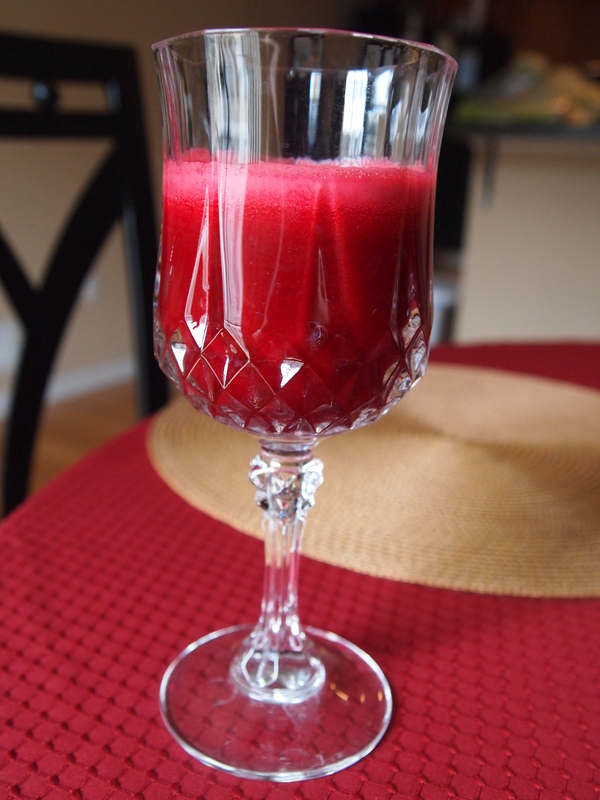 I made about 32 ounces of this juice this morning among other juices for my juice fast day on Saturday but to make just one glass (8 ounces) I’d use 1 beet, 4-5 carrots, 1 apple and a small piece of ginger the size of a large grape. 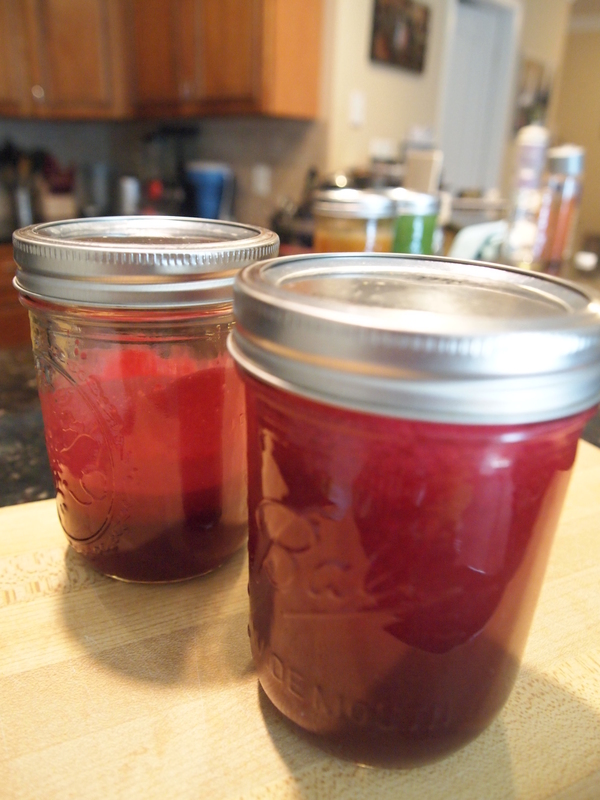 I’m not sure what other folks do with their beets when juicing them but I wash them very thoroughly and cut off the top that was attached to the beet greens. As usual, with carrots I wash thoroughly and simply cut off the tops and tails. Don’t forget to take out the apple’s seeds! Do not peel the apple or carrots as they contain nutrients. This juice recipe as I later discovered is pretty common among juice-making enthusiasts. Well, I’m thankful for this recipe and thankful for the girlfriend that passed it on. Sharing is definitely caring.